This programme features several works by Elisabeth Subrin, including Shulie, Lost Tribes and Promised Lands, and Sweet Ruin. We are delighted to welcome Elisabeth Subrin for a Q&A hosted by Isabel Stevens (Sight & Sound) following the screening. 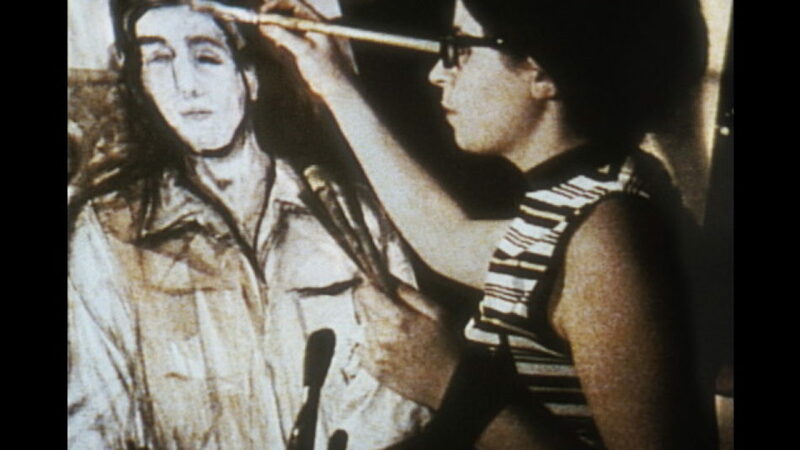 Subrin’s brilliant and celebrated portrait of a woman on the verge of becoming a revolutionary restages shot for shot a lost 1967 documentary about then-struggling art student Shulamith Firestone. The resulting work is a reflection on the legacy of feminism, and on how much things seem to have changed yet fundamentally remained the same. This screening marks the re-release of Shulie, which has been out of circulation since 2012. An insightful study of the ways in which cities change, this film combines 16mm footage Subrin shot in the days after 9/11 of memorial displays around Williamsburg, Brooklyn, and the same sites nearly a decade later. The passage of time and ravages of gentrification are immediately apparent (Subrin had difficulty retracing her steps), yet the disjunctions between each moment in space and time are not easily attributed to one or the other, as loss builds upon loss. Shot on damaged 16mm film stock, this radical adaptation of Michelangelo Antonioni’s script for his unmade film Technically Sweet stars Gaby Hoffmann in roles originally written for Jack Nicholson and Maria Schneider. Subrin presents this “abandoned footage” in a dual projection, its flaws evidencing its ruin. Hoffmann blurs the lines between Nicholson’s “T.” and Schneider’s “The Girl” by retaining her femininity as both characters, at one point squatting to pee. Described as a meditation “on love, violence, and cinema,” Sweet Ruin will be screened here for the first time in a theatrical setting. Catch the UK premier of Elisabeth’s debut narrative feature A Woman, A Part + Q&A with Elisabeth and producer Scott Macaulay. Thursday 6th July, 6:20pm, ICA. Tickets and info here.